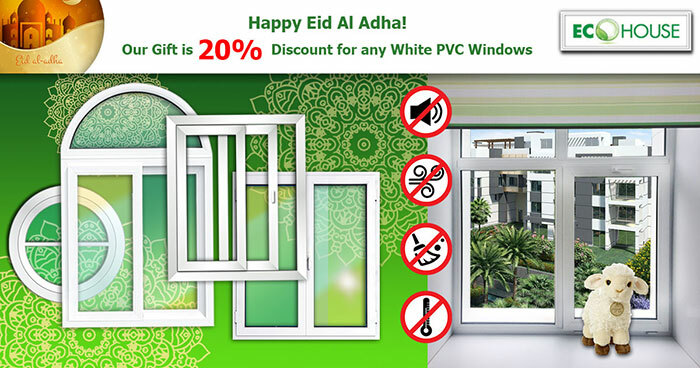 When ordering PVC windows till the end of August in honor of Aid El Adha we give you 20% Discount for white windows of any configuration with any glass or glazing. The best quality profile and best conditions when ordering! *This price offer is valid ONLY till 31 August 2018. Order is completed only with white color profile. Orders are completed within 40 days. Prepayment is 90%.